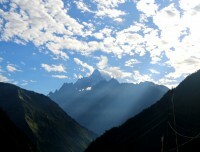 Tamang Heritage Trail Trek is a unique and short trek in Langtang Region. 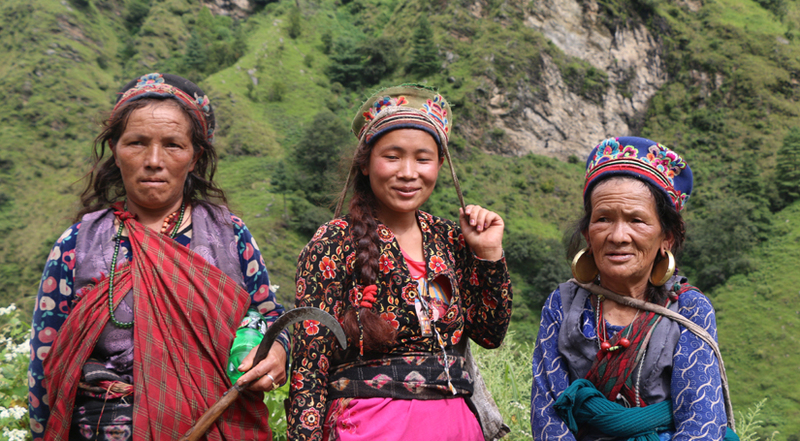 Langtang is not just full of natural beauty, the region is rich in culture and tradition as well. 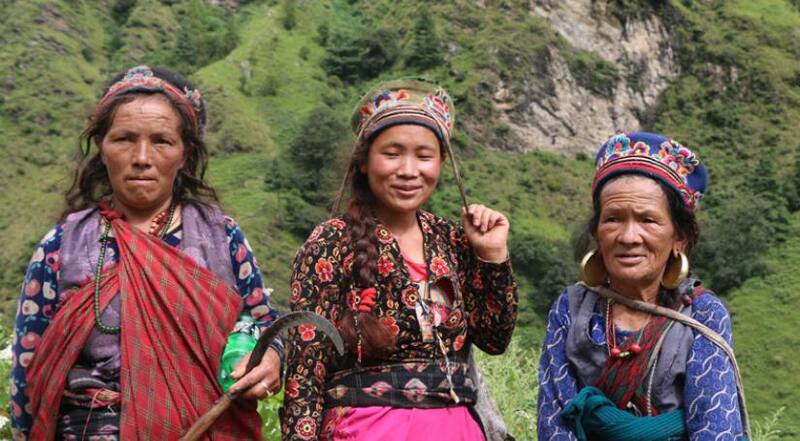 With Himalayan Joy Adventure, you will get a chance to peek into the culture, tradition, and lifestyle of Tamang people. 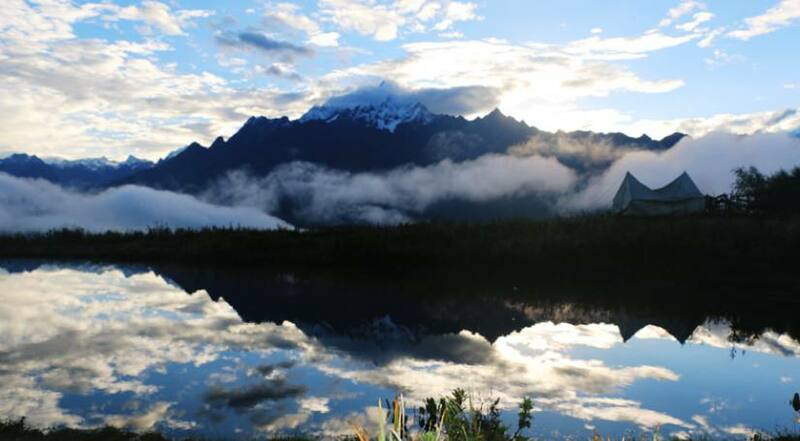 You will trek through rhododendron forest, alpine grassland, and beautiful villages witnessing the locals and their lifestyle. The towering Langtang Lirung and Ganesh Himal will continue energizing you every single moment. This trek is not as popular as other treks of Langtang Region for the fact that this is more of a cultural trek. This lets you explore this undisturbed and pristine part of Langtang. Here, you will find Buddhists, their monasteries, stupas, chortens, and colorful prayer flags. You can discover their tradition and rituals and so much more. Tamang culture and tradition are unique from that of others. Their colorful clothes and amazing houses with great craftworks instantly grab the attention of people. The lavishly decorated monasteries and chortens make visitors more interested to know about their tradition. 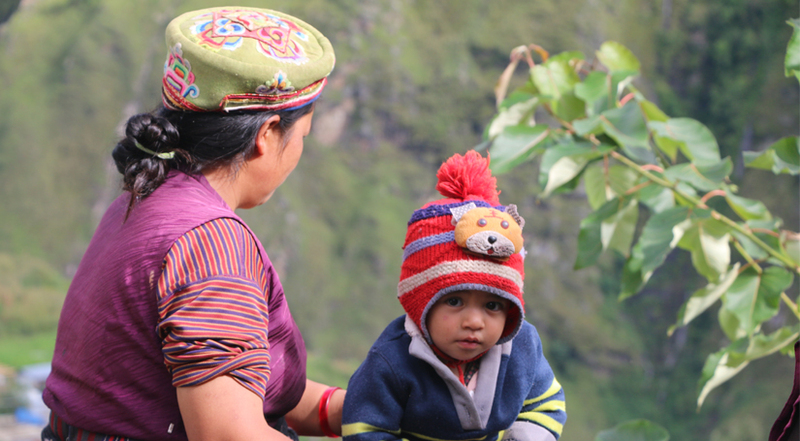 Every element from unique clothes to their rituals and ceremonies, you will be wanting to know more about Tamang people in your Tamang Heritage Trail Trek. Your Tamang Heritage Trail Trek with Himalayan Joy Adventure takes about 11 days. But, it can be customized as per your vacation days, your needs, and preference. As you land at the airport, we will transfer you to a hotel and spend an extra day sightseeing in Kathmandu Valley. You travel to Syabrubesi on the third day of your trip. From the fourth day, your trek starts. 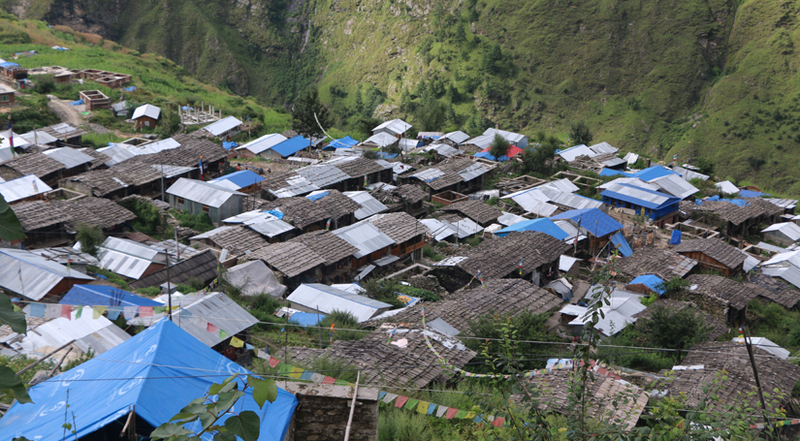 You trek for about 6-7 hours to Gatlang on the fifth day. The next day, you trek for about 5-6 hours to reach Tatopani and the next day follows with 4-5 hours short trek to Thuman. Another day, you trek to Briddhim and trek to Syabrubesi the following day. Then on the day 09, you travel back to Kathmandu. You will have an extra day for the rest in Kathmandu and fly back to your country on day 11. Today, you drive to Syabrubesi from Kathmandu. You travel by jeep through a highway alongside Trishuli River. The initial part of the road is well-pitched but the later part is bumpy and rough. But the spectacular views of mountains, hills, rivers, and villages are worth the bumpy and enduring ride. The magnificent views of Langtang Lirung (7227 m) and Ganesh Himal (7422 m) makes your drive amazing. After about 6-7 hours of jeep drive, you finally reach Syabrubesi - the gateway to Langtang Valley. This small town has a few lodges. 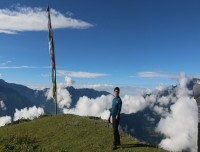 04 Days TREK TO GATLANG, 2238M. After your morning breakfast, you will ascend to a Tamang Village of Rongga Bhanjyang situated at the altitude of 2187 meter. 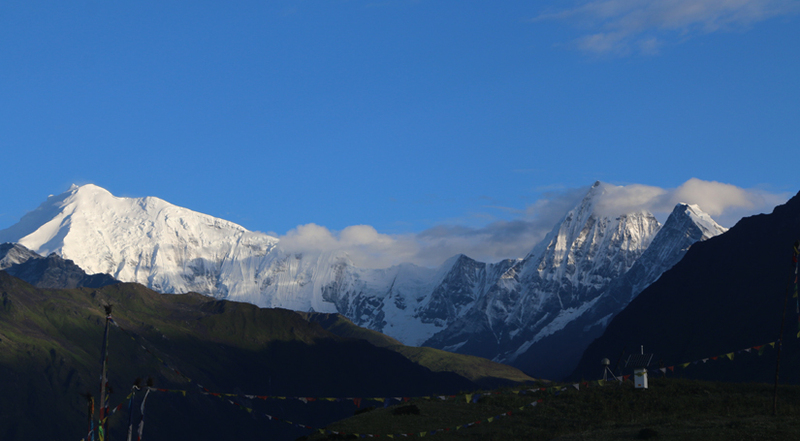 The majestic view of Ganesh Himal from Rongga Bhanjyang is worth capturing through your lens. You then walk on the flat trail to the beautiful village of Gatlang. The village has carried a lot of ancient significance as well. You can rest your backpacks in your lodge’s room and explore this beautiful village. 05 Days TREK TO TATOPANI, 2607M. 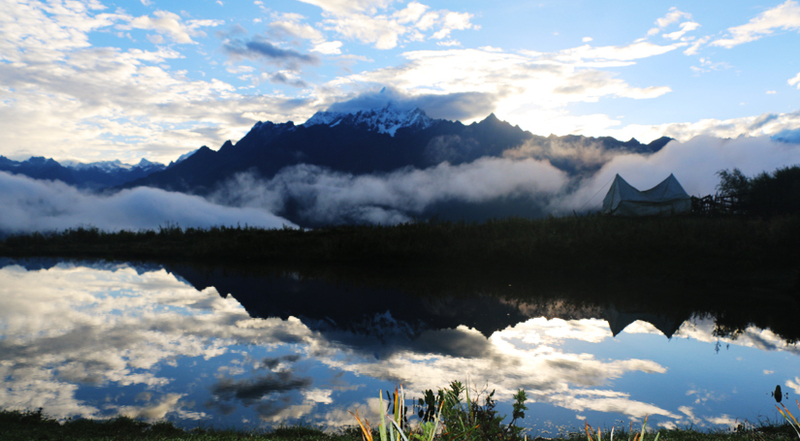 After spending a beautiful night in Gatlang, you will begin the next day trek after your morning breakfast. At first, you will walk downhill for about one and a half hour to Chilime Khola. 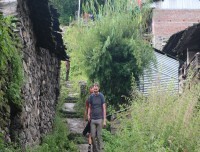 Then you continue ascending the uphill path through Thambuche Village and Patijhung Village. On the way, you come across beautiful streams and waterfalls. You will continue your trek until you reach Tatopani. Here, you will enjoy the natural hot spring water. 06 Days TREK TO THUMAN, 2338M. From Tatopani, you will start the trek to Thuman on day 06. 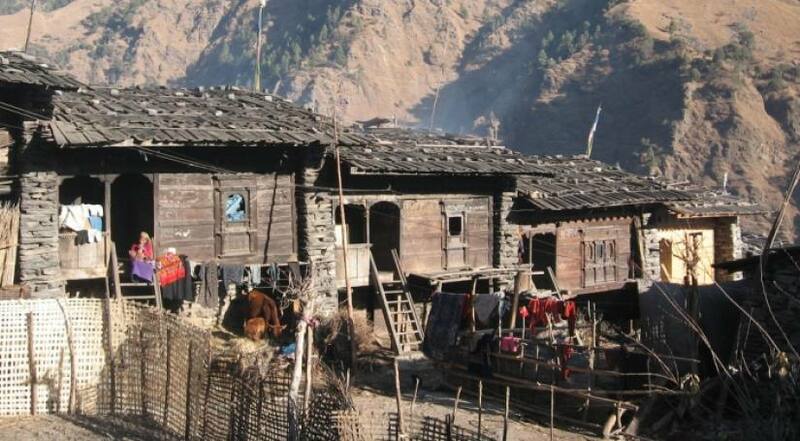 At first, you experience an uphill climb up to Nagathali which is located at the top of a hill at 2800 m. The village offers spectacular views of Ganesh Himal and Langtang Mountain Range. 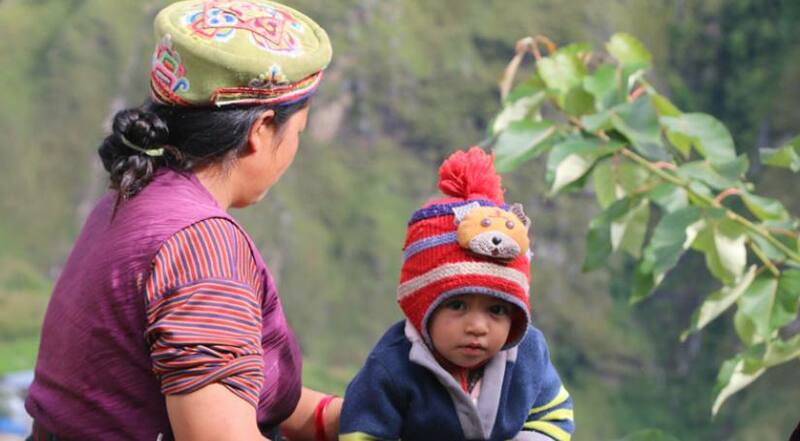 Then, you continue your walk through the rhododendron and pine forest to an ancient Tamang Village, Thuman. You can get spectacular mountain views from here too. 07 Days TREK BRIDDhIM, 2229M. The next day, you begin your journey towards Briddhim. At first, you descend to Bhote Koshi River and then climb uphill to Briddhim. 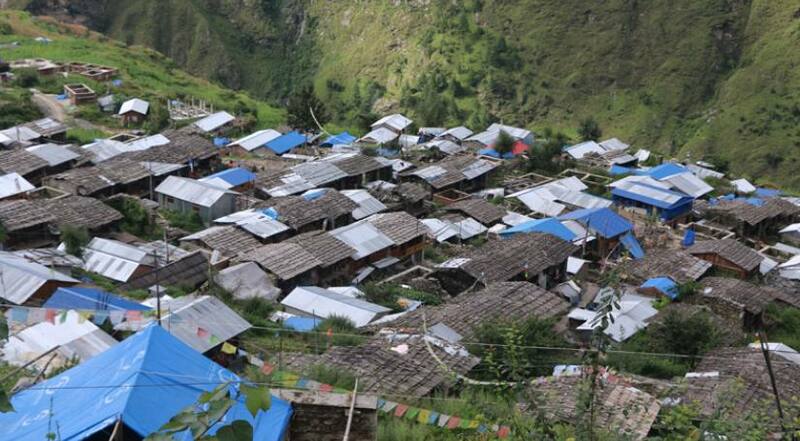 Briddhim is a beautiful village rich in Tamang culture. 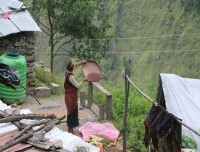 The homestay is run by the community. So you can witness their culture and tradition. You can also visit an ancient monastery in Briddhim. 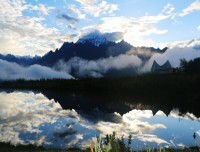 This is the last trekking day of your trip. Today, you head back to Syabrubesi. You gently descend through a forested trail full of rhododendron until Wangal. You continue your trek witnessing the spectacular views of Langtang Lirung, and Ganesh Himal to finally arrive at Syabrubesi. Today, you return back to Kathmandu from Syabrubesi by jeep. The total travel time is about 6-7 hours. You travel through the road alongside Trishuli River. Enjoy the magnificent views of mountains, hills, rivers, and villages on the way. After the bus journey, we will transfer you to your hotel room. You can unwind yourself or explore the city.